Itchy atopic skin is part of life for me everyday. While I control my Psoriasis quite well using a little prescription product the rest of my body is still dry. Bearing in mind I’m a slave to the shower I had to look to a range that was a good emollient and not over the top expensive. 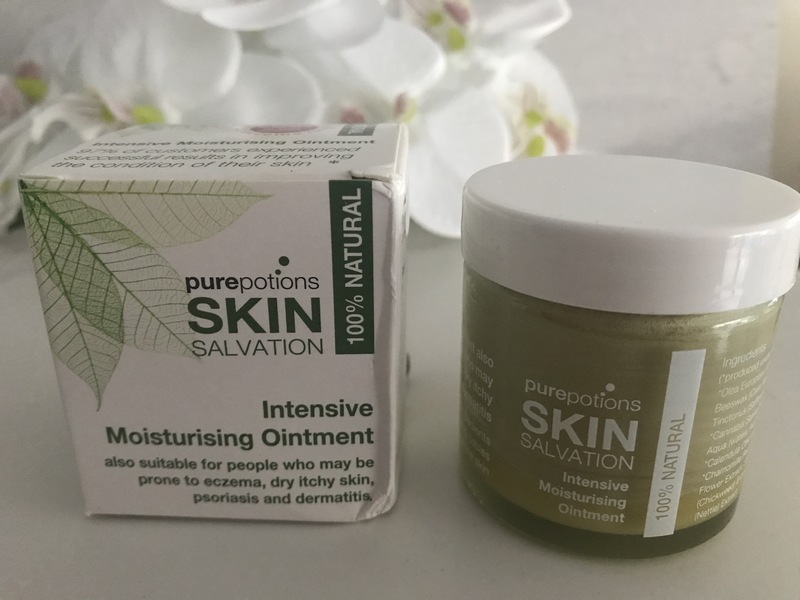 Off to Holland and Barrett with me and an introduction to Pure Potions, a cruelty free vegan range suitable for my skin, and face and body. Out of all of the products I tried I loved the bath and body oil, which can be added to a bath or applied directly to the skin post shower. It smells fresh and quite natural so it’s not for anyone that loves a deep floral scent. It’s designed to be unisex so the scent is definitely not overpowering. 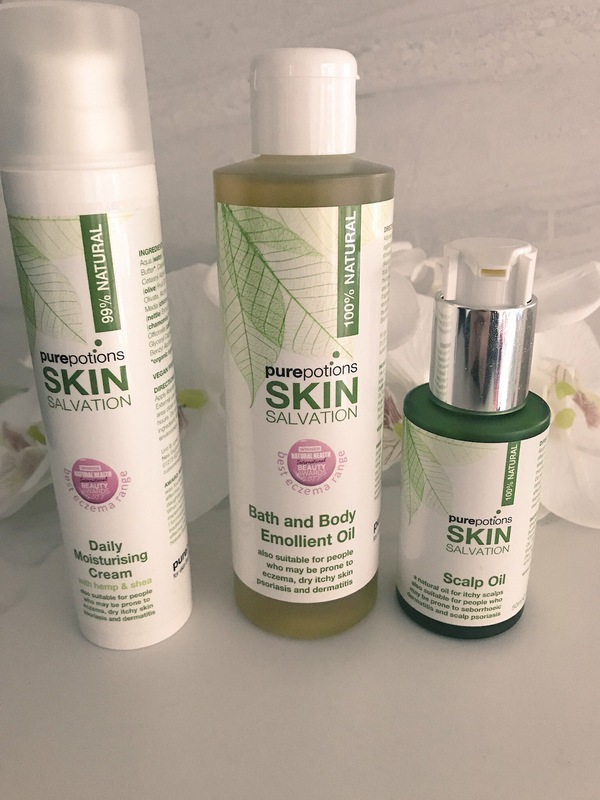 The intensive moisturising is really great to apply to the scaled areas or the soles of your feet. This requires some heat to melt it into the skin and is a bit like coconut oil in texture. The scalp oil is a great product for anyone that suffers with dry or flaky scalp. It’s a great alternative to some of the over the counter tar rich products that are really smelly. I can’t use it at the moment again because I’ve got hair extensions but I did give it a good road test and it’s honestly perfect for mild cases or patchy bits. It washes out well although I’d be inclined to shampoo it twice. The face cream I gave to a friend with Eczema and the reports I received were very positive. The while range started out in the founders kitchen when she sought a treatment for her toddler who suffered with eczema. The integrity of the brand is preserved to this day and although it’s not fancy or opulent it is practical and really soothing for dry skin.